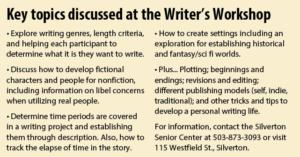 Thursday, Jan. 18, kicks off a fun and detailed Writer’s Workshop at Silverton’s Senior Center. 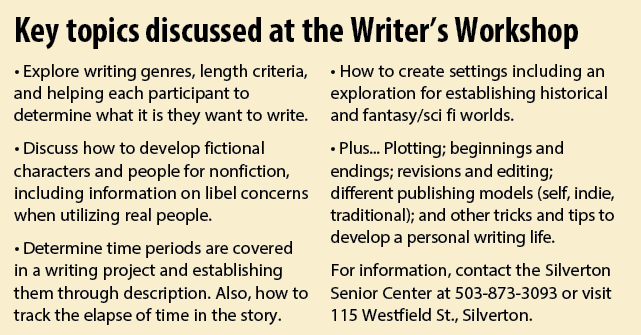 Free to members and $2 per class to non-members, the workshop will be held from 3 to 4 p.m. each third Thursday of the month. Presenter L. Lee Shaw is the recent winner of the Library Journal’s 2017 Indie E-book Award for her book, Aging Out. A standout in the Young Adult category, the Molalla resident’s book focuses on three teens on the verge of aging out of the foster care system. They have their suitcases packed and are worrying where they will live next. 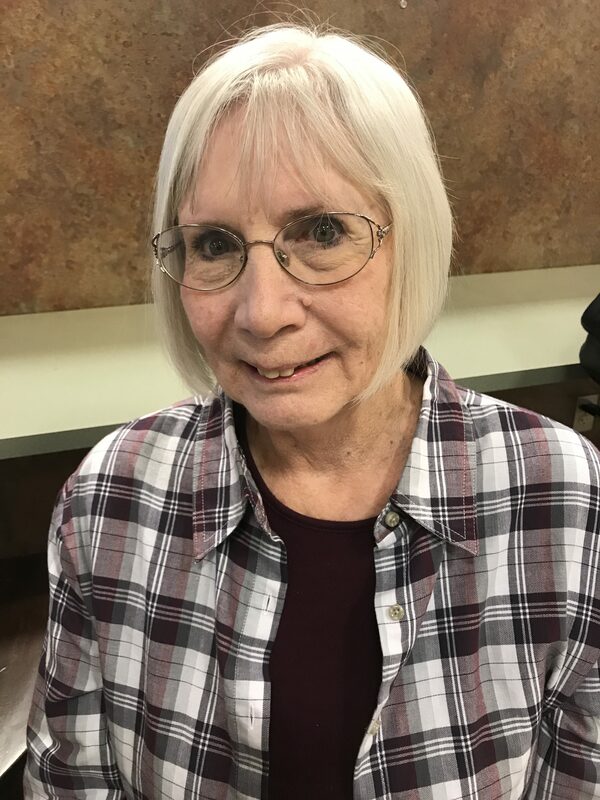 Weaving in the teens’ association with some senior residents at a geriatric care facility going through their own housing challenges, she created a poignant story full of heart. Shaw, 69, has always loved to write. Ever the child with a vivid imagination, she can envision a scene of a story and “hear the voices clearly.” Her husband, Andrew, is the first person to read her writing. Having been a paralegal for decades and a technical writer for 10 years, Shaw now enjoys being a part of the creative writing world. She has self-published two books – and has two more coming soon. Love Imperfect is about an adult romantic relationship, and is due out in February. Flunking Magic, a chapter book aimed at third – sixth graders, explores a young, good witch’s experience at being bad at magic and being placed in a Special Ed class and having to accept her situation. “My friend is doing all of the art illustrations,” Shaw said, adding that her seven-year-old grandchild is especially excited to read the book, which will hopefully be released close to the Halloween season.